Maxine Kumin remains one of our foremost poets. In her lifetime, Kumin’s spare and chiseled work was awarded the Pulitzer Prize, the Ruth Lily Prize, and a host of other honors. 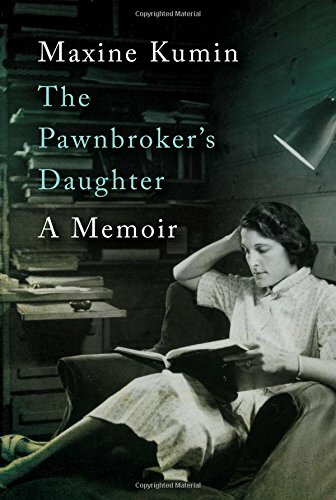 Her death last year has stilled a crucially important voice in U.S. letters which renders the publication of this memoir all the more timely and valuable—an important literary event. Out of her living, out of her struggles, out of her vision, we now have both Kumin’s life and her work edifice which, taken together, have become a single monument—a life experience fully achieved, fully evocative—a living poetry. Careful design is the hallmark of this memoir from an artist with a full comprehension of how to encompass the whole of her life story, an artist who understands the need for a methodological delivery of pertinent biographical details, taking care as required to establish parameters of time, place, and circumstance while incorporating such important matters as education, training, job performance, and personal relationships into the early phases of her life plan. Kumin has handled the narrative pacing of this memoir admirably, organizing the material into a chronological framework. The book is brief as biographies go—under 200 pages—and divided into five chapters, the first two chapters outlining Kumin’s childhood and college years and culminating in her marriage to Victor Kumin in 1946, a marriage that would last until her death in 2014. The third chapter rather briefly summarizes Kumin’s introduction into the world of poetry and the last two chapters are devoted to the years spent on their farm in New Hampshire which served initially as a weekend and holiday retreat for the Kumins and their three children, and, in 1976, became Maxine and Victor Kumin’s full-time residence. Maxine Kumin was born Maxine Winokur in 1925 in Philadelphia. Her father, Max Winokur, owned and operated a successful pawn shop in Philadelphia. Prior to marrying Winokur, her mother had taught piano while attending Coombs Conservatory of Music in Philadelphia. The Winokurs were a successful Jewish family in a largely Christian—and often anti-Jewish—town, with the assorted and often conflicting set of pressures and prejudices concomitant to such a situation. Kumin went on to attend Radcliffe and take a masters there. In 1945, while still a student at Radcliffe, she met and fell in love with Victor Kumin who was assigned to the Los Alamos project developing the atomic bomb. The two were married in 1946. They moved to Newton, Massachusetts, where Maxine Kumin was to become involved in the legendary Holmes Workshop, conducted by the Tufts University professor, John Holmes, whom she referred to as her “. . . Christian academic daddy.” It was at this workshop that Kumin met poet, Anne Sexton, who became her close friend and writing confidante for the next 17 years—until Sexton took her own life. Kumin was notable in her ability to work successfully in a period when opportunities for women writers were hardly assured. She was part of a talented group of women breaking new ground in poetry—women poets in a male-dominated field who were gaining positive affirmation and attention. When Kumin was just beginning to submit her work to publications—before the days of the Holmes workshop—she recounts having had to submit a letter from her husband’s employer to a press, “. . . certifying that my poem was original.” As a woman, she was not deemed capable of making such a certification herself. When the Kumins acquired their farm in New Hampshire, the seclusion, the peace, and the animals became a matrix of inspiration for Kumin’s poetry. The animals were especially dear to her. Toward the end of the volume, she provides a litany of examples of rescues—animals that had suffered unfortunate fates in unfathomable circumstances and were given a fresh opportunity on the New Hampshire farm. The architecture of Kumin’s life experience, when traced with the history the book provides, demonstrates the atmospherics, the climate, the seedbed of her poetry. These elements are delineated in her verse, in her narrative illustrations of events, all spelled out in the dynamics of myriad experiences, from the common place to the almost exotic, experiences of setting up a newly found home, of establishing a new way of life, of living and coping with being a woman and a poet in the world. This is a poet of surprising versatility successfully managing a number of lives, including her own. In this memorable biography, the reader is invited into Kumin’s life, invited to journey with her into new adventures of rural existence, into an agrarian culture with all of its vagaries. In this memoir, as in her poetry, Kumin has answered the call, put on the mantle, and worn it proudly to the very end. She has given a fitting tribute to her husband, Victor, to her friends, and to the many beloved creatures that found their way into her heart. This book is truly heartfelt in its planning, its development, and its execution. For those already involved in poetry or aspiring to become poets, this is a handbook for the development of a sensibility. For the general reader seeking inspiration and insight, this volume is a true treasure.